Sandystyl: How is your weekend? Wow, discovering temptation everywhere. As we drive down the streets, the fast food places call my name, lol. But I persevered and am down 2 more pounds. 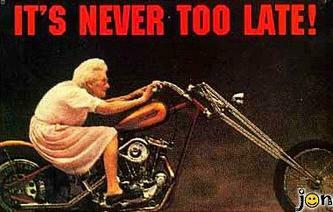 It's never too late to follow your goals. Went to Wal Mart yesterday and found a few great deals from leftover Christmas. We have a fake tree we use ever year that is 6' tall, just right for our small apartment. I bought it at Target about five years ago fot twelve dollars after Christmas. Well, last night I bought a pre-lit 6 1/2 ft tree for $9.25. I love a deal!!! Also bought 8 rolls of wrapping paper for 24 cents each. Today is National Cuddle Day (for real) and I plan oon doing just that. Cuddling up in my recliner with a book I am reading this afternoon while hubby watches a ballgame on tv. Making homemade vegetable soup today, and cuddling up again after dinner with hubby and the tv. We're having a like weekend too. Got some errands done and just enjoyed staying inside where it's warm and dry. It's raining right now and that's where we're staying today too. Well we do have to work out and that's our big thing to do today. Congratulations on losing another two pounds. You are doing a great job. Congrats on losing two more pounds Saundra. You rock! I read your note on Optimistic Existentialist blog and had to tell you what a lady of courage you are! Be NIKE= Just DO it!